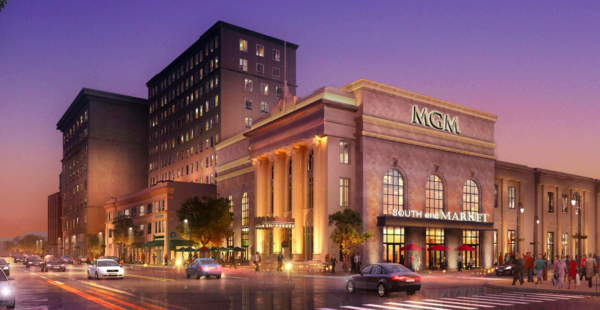 The first section of the MGM Complex in Massachusetts has opened and is expected to be completed by September 2018. While plans were first made to open much sooner, a few delays with completion caused developers to decide upon a later date. The new lavish complex looks to hire 3,000 employees once it is completed. This includes 300 human resource and corporate staff, and the establishment will also have a school specifically made to train potential workers for the casino. At this point, 50 workers have officially moved into the new building’s administrative office. The corporate offices are inside the 11-story MassMutual’s Building in Springfield. The establishment, which will also feature entertainment, is the first Vegas-like resort to grace Massachusetts. There are also plans in the works for Wynn Resorts to construct another casino in the Boston area in 2019. The MassMutual Building was built in 1929, so a few changes were made to restore the building to a more refreshed state. The original appearance of the building was left unchanged, but MGM Resorts revamped the electricity, plumbing, and various fixtures before any employees moved in. The casino resort also held a job fair to search for new employees. A career center was opened last November in Springfield. The hiring process involves a sort of obligation under a licensing between MGM Resorts and Massachusetts regulators. The terms state that 35 percent of the staff employed by MGM must be made up of Springfield residents. On top of this, 90 percent of the workers hired by the casino resort are required to be from around the area. As previously stated, MGM’s objective is to develop 3,000 new jobs from the project. The center included a computer lab for interested individuals to go in and apply, as well as a room where interviews were held. Interested applicants could also go online and view 250 job descriptions for open positions. As for the casino-resort, according to casinonewsdaily.com, its features include entertainment, various dining facilities, a six-story hotel, lots of food and beverage options, a 125,000-square-foot gaming floor, etc. An announcement was also made by MGM that, back by popular demand, poker tables are back, and the casino will add 23 more poker tables than the 16 it had originally prepared for. MGM also found that slot machines are more preferred over poker tables by millennials, so operators are now working on ways to continue to draw in more customers of that demographic. The new MGM Complex cost a whopping $950 million and is sure to net a great deal of revenue. It’s the first luxury Vegas-style casino resort in the state of Massachusetts. Altogether, the complex will stretch three blocks and will cover a total of 2 million square feet. A movie theater, a 250-room hotel, gaming tables, and slot machines will also be featured in the establishment. The next resort project currently in the works by Wynn Resorts it is set to be located near the Mystic River in the city of Everett. This casino complex is priced at $2 billion and will be ready for business during summer 2019. In other gaming industry news for the state, Plainridge Park, a harness horse-racing track, has added slot machines into its slot parlor. 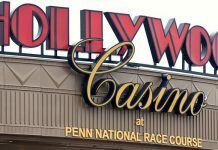 The parlor, which was initially built and opened in 2015, generated a total of $164.8 million in 2017, according to The Massachusetts Gaming Commission. 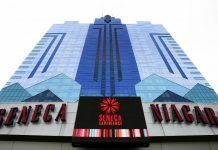 The revenue increased by 6 percent. This is a small but effective jump from the year before.